Everyone has a list of countries they would love to visit; Japan has always been on mine. I excitedly embarked on a two week trip to the Land of the Rising Sun back in May 2014, and I returned with the certainty that I would travel there again. It was a fantastic experience of ancient culture juxtaposed with modern technology, incredibly polite people, stunning views, delicious food and wonderful attractions. When choosing the top things to see in Japan, I selected a wide range of attractions and natural landscapes from around the country, most of which I have personally experienced. All of these can be visited on our fully inclusive Japan Tours. 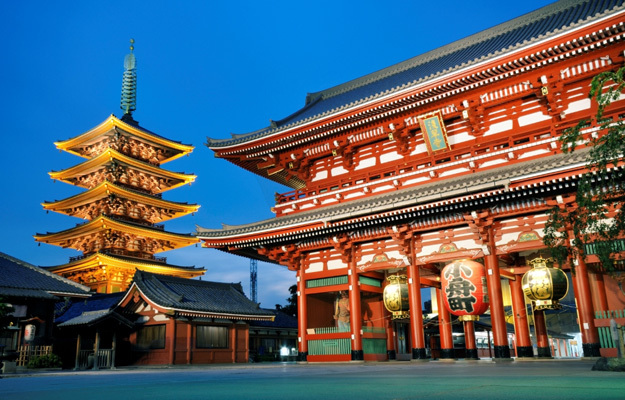 Senso-ji is a Buddhist temple located in Asakusa, a district of Tokyo. It is one of Tokyo’s most popular temples. Completed in 645, it’s Tokyo’s oldest temple. Entrance to the temple ground is through the Kaminarimon Gate, known as a symbol of Asakusa. 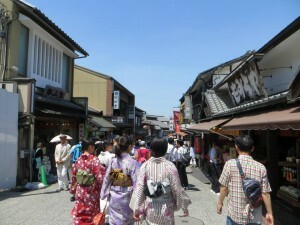 To walk to the second gate, which sis called Hozomon, one must walk through a brilliant 200 metre long shopping street called Nakamise, which sells typical Japanese souvenirs such as yukata, folding fans and traditional snacks. Beyond the Hozomon Gate stand the temple’s main hall and a five storied pagoda. You can enter the temple to make an offering and explore its grounds and gardens. 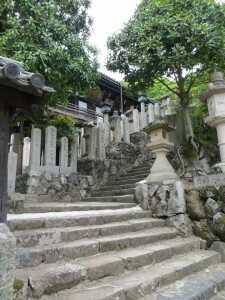 It’s a great introduction to the temples of Japan, and one all Tokyo tourists visit. 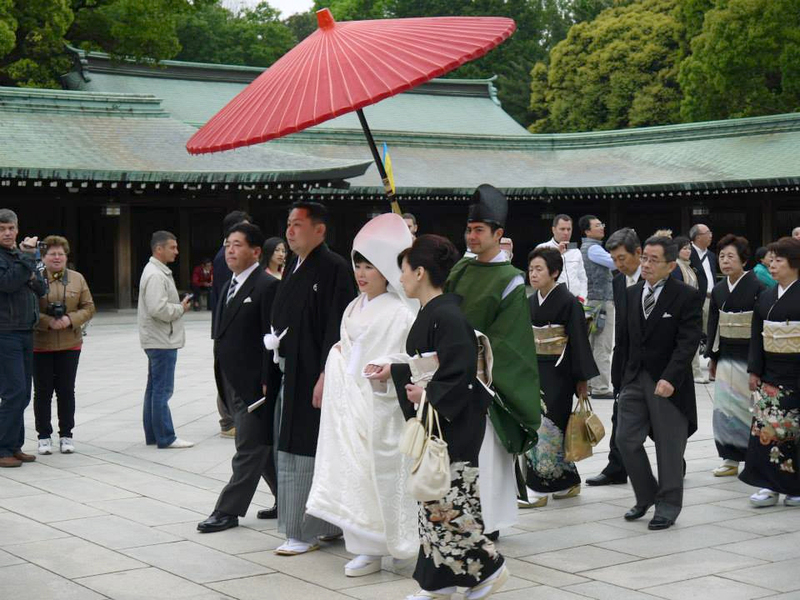 Meiji Shrine is a shrine dedicated to the spirits of Emperor Meiji and his Empress. 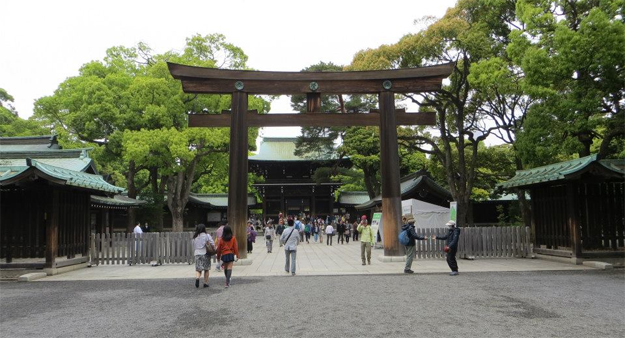 Located in a densely forested park of over 100,000 trees, Meiji Shrine and its grounds are a welcome break from the high-rise fast pace of Tokyo. Completed in 1920 and rebuilt after WW2, it’s one of Tokyo’s main attractions and attracts millions of tourists. 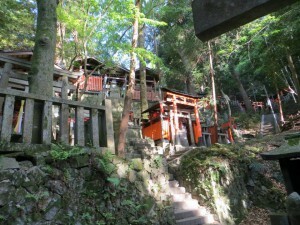 The main complex of the shrine is located a ten minute walk into the forested park. The entrance is marked by a large, wooden torii gate. Upon walking along the designated pathways the large temple grounds open up. It’s peaceful and calm, completely opposite to the madness of the city. 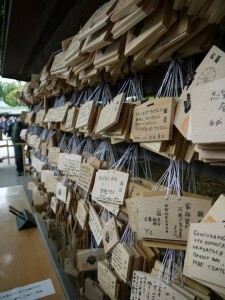 Visitors to the shrine can take part in typical Shinto activities, such as making offerings at the main hall, buying charms or writing a wish on an ema. Traditional Shinto weddings can often be seen taking place at the shrine; I was lucky enough to see quite a few. If you don’t have the opportunity to visit Mount Fuji, Japan’s highest and most famous mountain, you’re likely to see its peak when travelling by bullet train between Tokyo and Kyoto or Osaka. If you do have the opportunity to visit, the foothills around the mountain have a huge range of sights and museums. 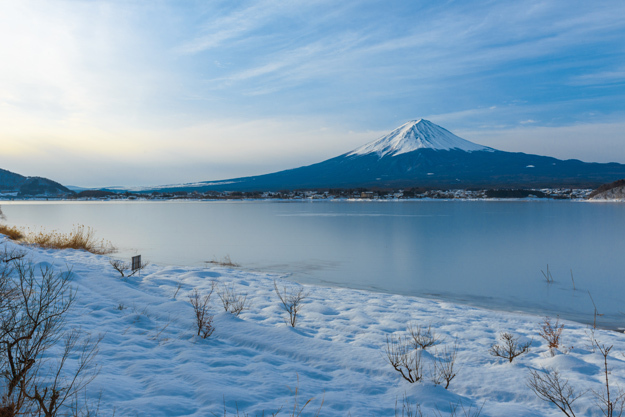 Fuji Five Lakes is one of the best places to view Mount Fuji from a close distance. Hiking, camping, fishing and snow sports are among the popular outdoor activities that can be enjoyed at this lake resort. Taking a bus up to the 5th Station on Mount Fuji, you’re almost half way up the mountain itself and you’ll be able to see a most magnificent view. Are you adventurous? Many Japanese people have a lifelong goal to reach the summit of Mount Fuji. After hiking through the night, they can witness the most amazing sunrise from its peak. 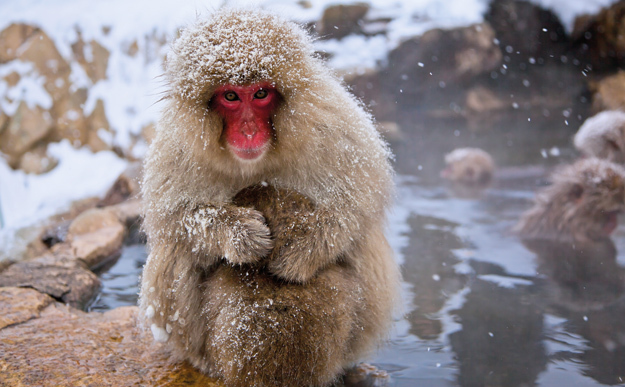 The Jigokudani Monkey Park, which opened in 1964, offers visitors the magical, unique experience of seeing wild Japanese Macaques, also known as Japanese Snow Monkeys, bathing in a natural hot spring. The monkeys can be seen up close playing in the water of the hot springs, and they quietly ignore humans as they are quite accustomed to being photographed. Although the monkey park is open all year round, many prefer to see the bathing monkeys in the winter when the area is covered in snow. This is usually from December to March, though the best timing for a visit is the beginning of the year in January and February. If you do not get a chance to see Japanese Macaques here, there is a similar monkey park in Arashiyama in Kyoto, though this park doesn’t have a hot spring. 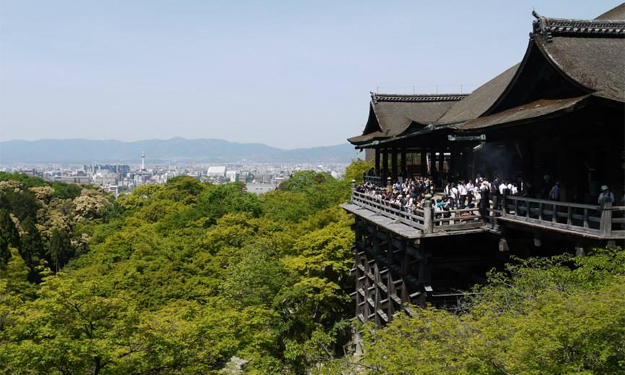 Instead, you can have a magnificent view of Kyoto. 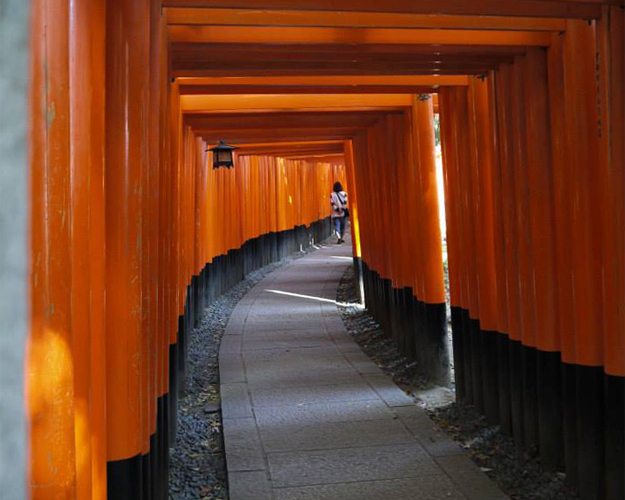 Fushimi Inari is an important and stunning Shinto shrine in Kyoto. Made famous in the west by its use in the film Memoirs of a Geisha, this is not to be missed. Thousands of red torii gates in parallel rows line multiple pathways up the wooded mountain behind its main shrine buildings. You can walk along the torii gate paths for up to 3 hours to the top of the mountain, with many devilish fox statues lining the way. The torii gates along the pathways have been donated by individuals and companies; you’ll find the donator’s name engraved on the back of each gate. 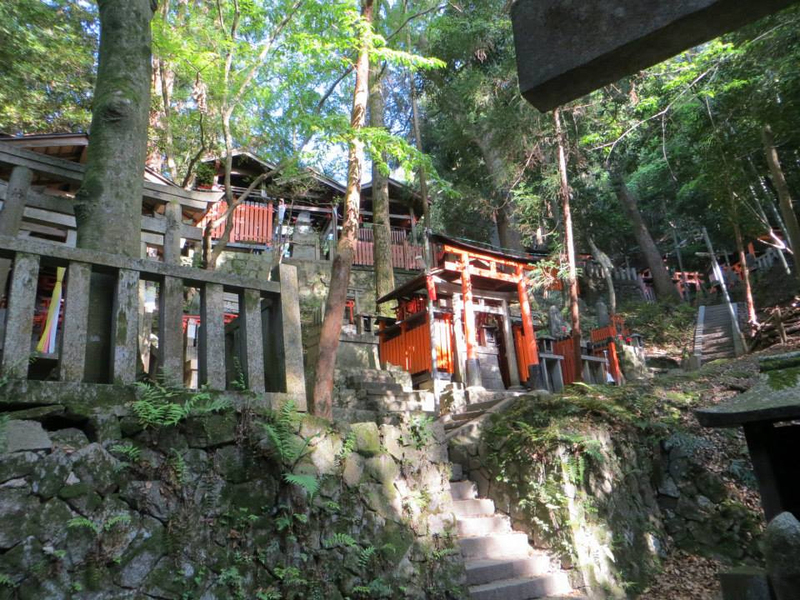 Hidden shrines extend off the main pathway, making for excellent photos and exploration. 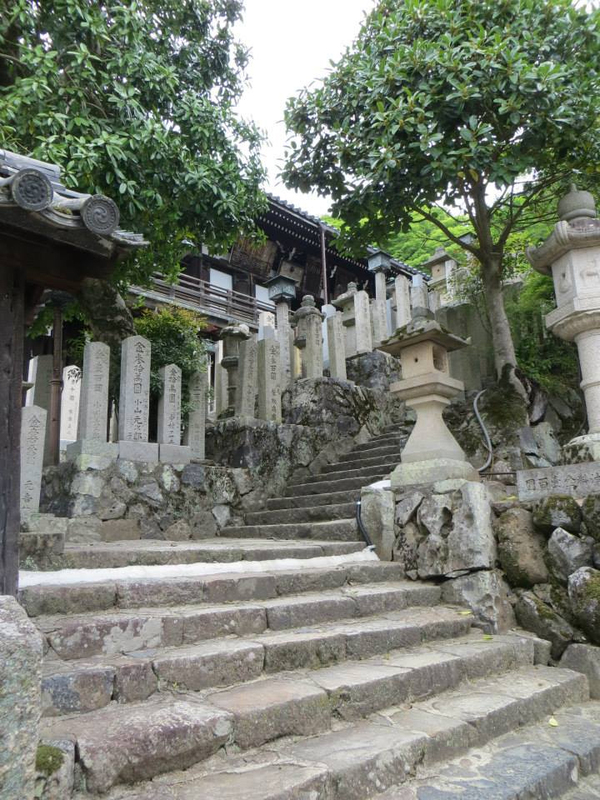 It has an unearthly, ethereal feel and you feel completely absorbed in Japanese Shinto religion here. The main shrine buildings are also beautiful. 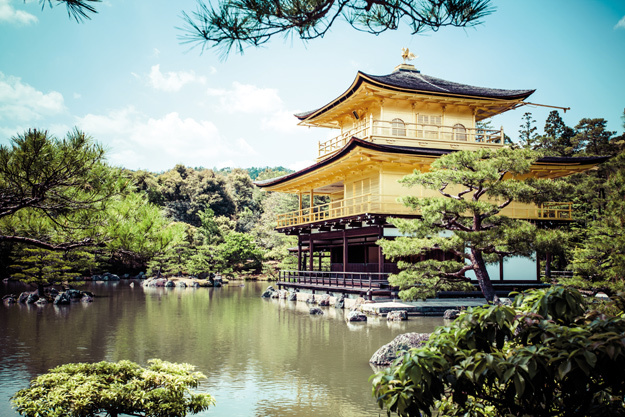 Kinkaku-ji, also known as the Golden Pavilion, is a famous Zen temple in northwest Kyoto which is covered in gold leaf. It was built overlooking a large, leafy pond which reflects the gold of the temple perfectly, making for a stunning photo. I remember being dazzled by it. Throughout history it has burned down several times, the most recent in 1950. The present temple was rebuilt in 1955. The grounds also have numerous gardens and trails, with statues and a traditional tea house to explore. The green tea here is delicious. It’s always busy with tourists and school children, so it’s best to explore early in the morning. It’s on the outskirts of the city, though easily reachable by public transport. When choosing the top things to see in Japan, this must be on everyone’s list. 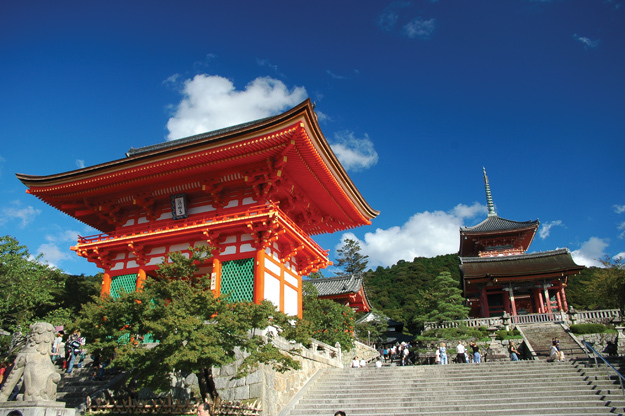 Kiyomizu-dera Temple is one of the most iconic temples of Kyoto. 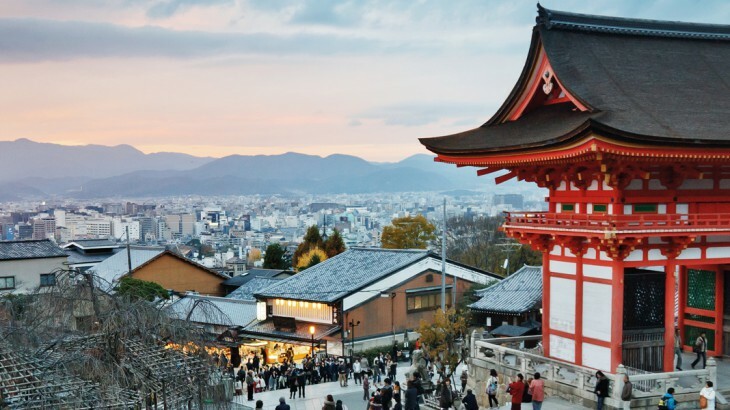 A UNESCO world heritage site, it is best known for its wooden balcony that juts out from its main hall, 13 meters above the hillside below, offering a fantastic view of Kyoto and the surrounding mountains and hills. There are many shrines within the temple, including the three-storied Koyasu Pagoda and the Otowa waterfall, where visitors use cups attached to long poles to drink from the waterfall for good luck. The walk up the temple is equally beautiful: the Higashiyama District is one of the city’s best preserved historic districts. 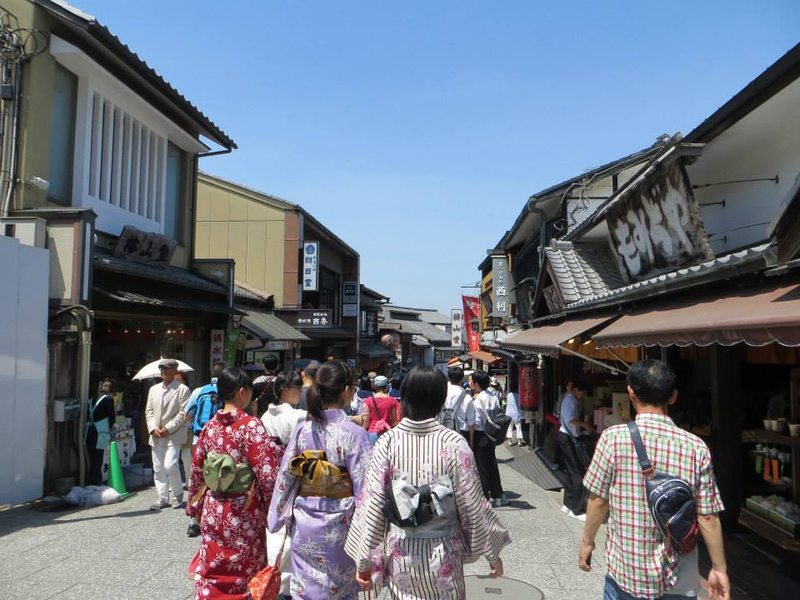 There are stunning narrow lanes, lots of Japanese wooden buildings and traditional shops. You’ll feel as if you’ve stepped back in time. 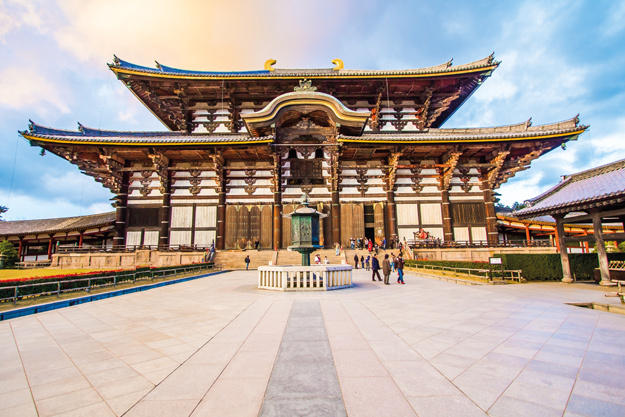 Tōdai-ji Temple is one of Japan’s most famous temples and a national landmark of Nara. The main hall is the world’s largest wooden building, although it is only two thirds of the original size. It is still visually impressive and inside is one of Japan’s largest bronze statues of Buddha. One of the columns inside the main hall has a small hole in it where children are encouraged to crawl through to achieve enlightenment. Tōdai-ji Temple is inside the grounds of Nara Park, a huge park where wild, tame deer roam free. Considered in the Shinto religion to be messengers of the gods, Nara’s nearly 1200 deer are a symbol of the city. 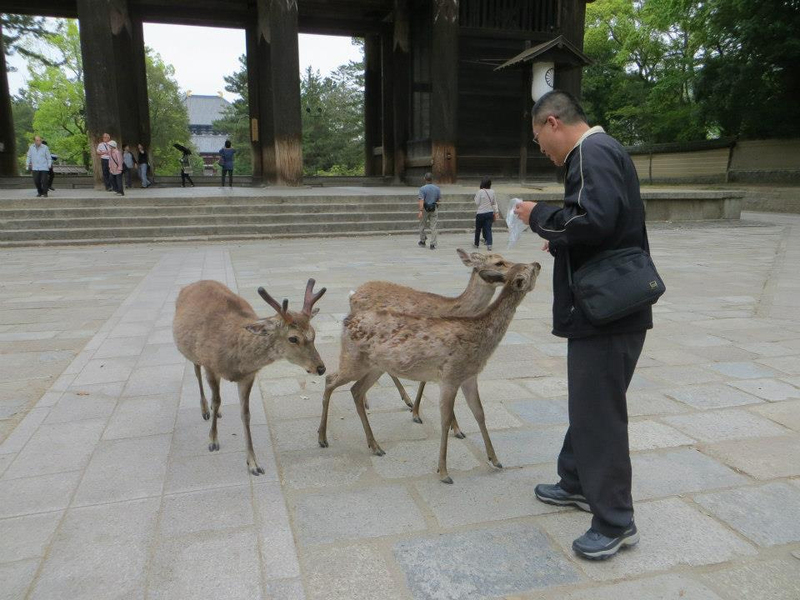 For 150yen, you can buy crackers to feed the deer. They are surprisingly friendly! 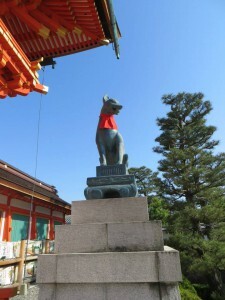 There are also numerous other temples and shrines in the park, as well as a museum. It’s an excellent day trip from Kyoto, which is one hour away. Although the original Osaka Castle has long since been burnt down, invaded and struck by lightning, the present day Osaka Castle has a modern castle tower with an informative museum inside. 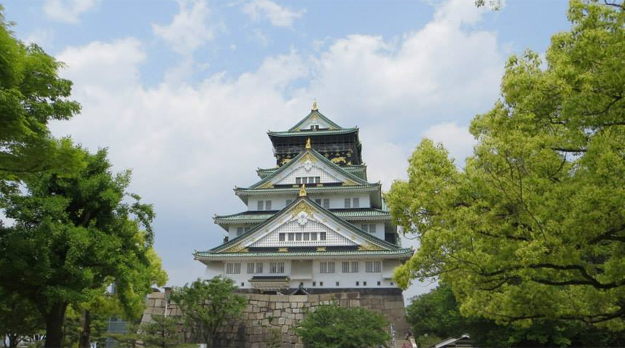 Taking the lift to the top, you will encounter a pleasant view of Osaka Castle Park and the high rise buildings of Japan’s third largest city. The museum details the castle’s history, and you have the opportunity to dress up in traditional samurai garments for a fantastic photo-shoot. The gardens and grounds around the tower are beautiful, especially in cherry blossom season. 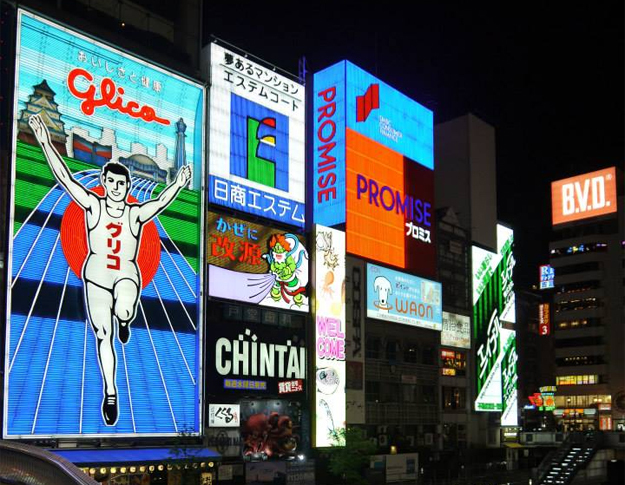 If you’re looking for futuristic bright lights and Japanese entertainment, Dotonbori is a busy, fun area along the banks of the Dotonbori-gawa Canal. It is filled with many restaurants, puppet theatres, cinemas and shops. On both sides of the canal, the buildings are lined with neon lit advertisements, which reflect into the canal at night, making for amazing photos. In Dotonbori you can try traditional Osaka cuisine, such as okonomiyaki and takoyaki, as well as buy all your souvenirs. Best visited in the evening, the area is busy with both tourists and locals alike. Hiroshima’s Peace Memorial Park is one of the most sombre yet prominent parts of the city and draws over 1 million visitors annually. The Peace Memorial Museum, which is inside the park, reveals the history of Hiroshima and the emergence of nuclear weapons. More importantly, it focuses on the tragic day of August 6th 1945. 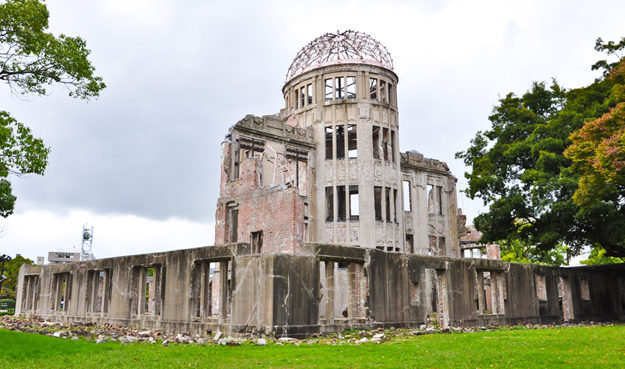 The Hiroshima Peace Memorial, also known as the A-Bomb Dome and a UNESCO World Heritage Site, was one of the few buildings left standing after the bomb exploded, and it remains in the same condition today to advocate world peace. The Children’s Peace Monument is a statue dedicated to the memory of the children who died as a result of the bombing, which is known for its paper cranes that people from around the world make and send to Hiroshima. Miyajima Island is an hour away from Hiroshima and must see if you’re in the area. 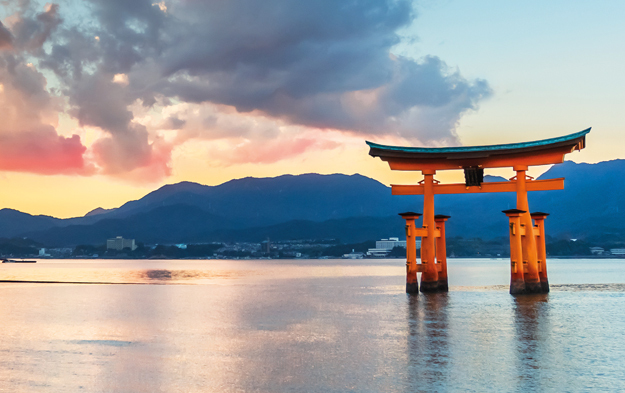 It is most famous for its giant, red torii gate known as Itsukushima Shrine. At high tide, it seems to float magically on the water. This beautiful sight is ranked as one of Japan’s three best views. The island has the freshest oysters and seafood you’ve ever tasted, as well as wild, tame deer that roam it. This island can be visited as a half day trip or even overnight as there are many traditional ryokans to stay in that serve fresh seafood for dinner. 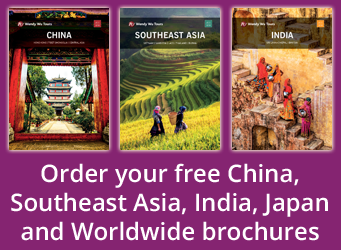 Go on a Japan holiday with the UK’s leading Asia Experts, Wendy Wu Tours. Our award winning escorted, fully inclusive Japan tours visit all the major sights of Japan for an unforgettable holiday. Japan culture, top things to see. permalink.